For those of us who grew up with old fashioned analog video, it seems a little strange to want to replicate it. Digital video these days is better in just about every way, after all. But, for simple devices that lack video output altogether, it can actually be easier to hack together analog video than digital. That’s the case with Rob Cai’s VGA Pong game, and his tutorial will show you how to build your own with an ESP8266. The ESP8266 is an extremely popular WiFi module, and ESP8266 development boards are incredibly affordable — just a few dollars from some sources. But, it was never intended to output video. Thankfully, it’s popular enough that a clever hacker named Sandro Maffiodo has put together the ESPVGAX library to add analog video output capability to any ESP8266 board. That library supports a resolution of 128 x 96, and even has some basic line color and background color features. 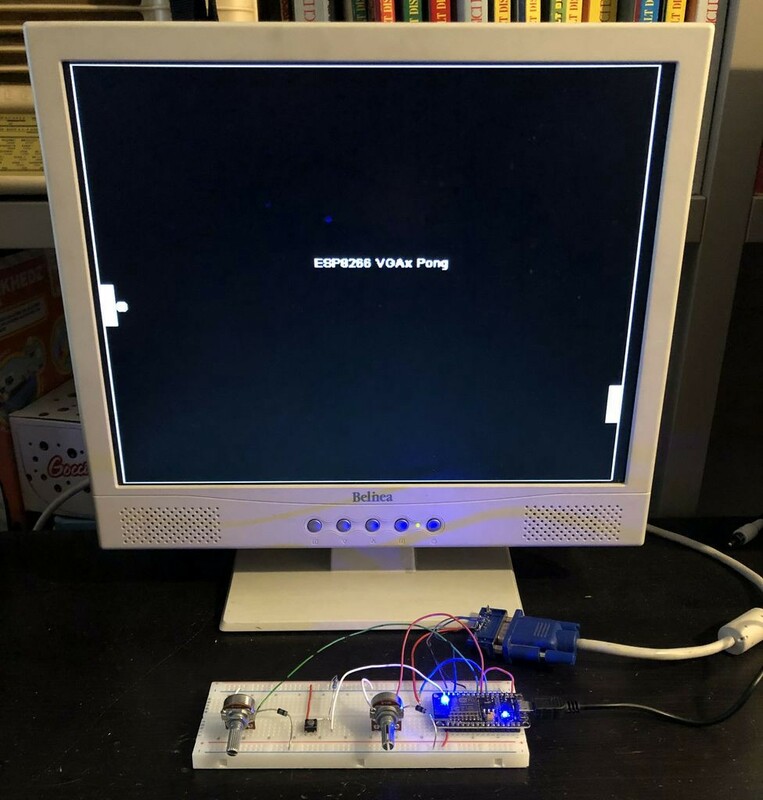 To build your own VGA Pong game, you’ll need an ESP8266 board, a D-sub 15 connector, two potentiometers, a push button, and a couple of resistors and diodes. You’ll also need a monitor that actually has a VGA input. Wiring this up is easy with a breadboard, and only four wires are needed for the VGA output. Then just upload Cai’s code, and you’re ready to start playing! The potentiometers are used to move both players’ paddles, so grab a friend and relive the analog Pong glory days. Build Yourself This ESP8266 Pong Game with VGA Output was originally published in Hackster Blog on Medium, where people are continuing the conversation by highlighting and responding to this story.